Mark Zuckerberg would like you to know that despite a scathing report in The New York Times, which depicts Facebook as a ruthless, self-concerned corporate behemoth, things are getting better—at least, the way he sees it. In a lengthy call with reporters Thursday, and an equally lengthy “note” published on Facebook, the company’s CEO laid out a litany of changes Facebook is making, designed to curb toxic content on the platform and provide more transparency into the decisions Facebook makes on content. But perhaps the most consequential update is that the Facebook News Feed algorithm will now try to limit the spread of sensationalist content on the platform, which represents a major change from how the company has traditionally approached moderation. All of it is in service of restoring trust in a company whose public reputation—and the reputation of its leaders—have taken near constant body blows over the past two years. 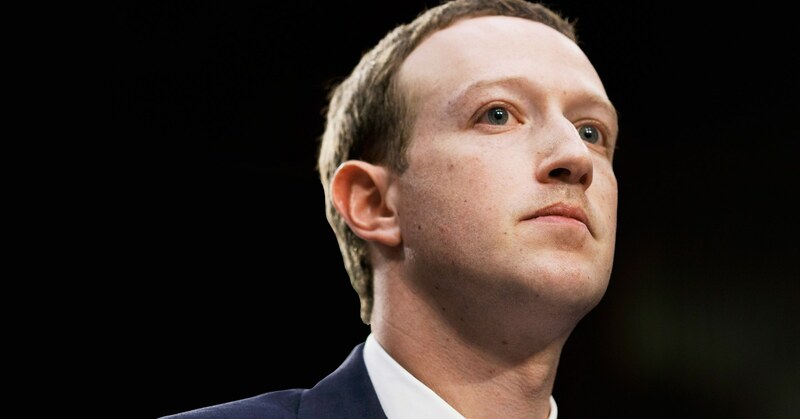 Zuckerberg’s words come a day after the Times published a damning report that portrays Facebook as not merely behind on issues of election interference, as Zuckerberg suggests, but actively working to downplay what it knew about that interference. It suggests that Facebook’s executives, wary of picking sides in a partisan battle over Russian interference in the 2016 election, aimed to minimize Russia’s role in spreading propaganda on the platform. The story states that Facebook’s former head of cybersecurity, Alex Stamos, was chastised by the company’s chief operating officer, Sheryl Sandberg, for investigating Russian actions without the company’s approval and berated again for divulging too much information about it to members of Facebook’s board. The Times story also alleges that Facebook waged a smear campaign against its competitors through an opposition research firm called Definers Public Relations. The firm repeatedly worked to tie Facebook’s detractors, including groups like the Open Markets Institute and Freedom from Facebook, to billionaire George Soros. Critics say that in doing so, Facebook engaged with the same anti-Semitic tropes that have been used by white nationalists and other hate groups that regularly villainize Soros. Zuckerberg denied having any personal knowledge of Definers’ work with Facebook, and said he and Sheryl Sandberg, Facebook’s chief operating officer, only heard about the relationship yesterday. That’s despite the fact that Definers often coordinated large-scale calls with the press on behalf of Facebook and its employees and, in at least one case, sat in on meetings between Facebook and the media. For the umpteenth time this year, Zuckerberg found himself working overtime to clean up Facebook’s mess, even as he wanted desperately to tout the progress the company’s been making. And it has made important progress. In Myanmar, where fake news on Facebook has animated a brutal ethnic cleansing campaign against the Rohingya people, the company has hired 100 Burmese speakers to moderate content there and is now automatically identifying 63 percent of the hate speech it takes down, up from just 13 percent at the end of last year. Facebook has expanded its safety and security team to 30,000 people globally, more than the 20,000 people the company initially set out to hire this year. It’s also changed its content takedown process, allowing people to appeal the company’s decisions about content they post or report. On Thursday, Facebook announced that within the next year, it will create an independent oversight body to handle content appeals. With this move, Facebook is taking a risk. Curbing engagement on the most popular content will likely cost the company money. And such a dramatic change no doubt opens Facebook up to even more accusations of censorship, at a time when the company is fending off constant criticism from all angles. But Facebook is betting big on the upside. If outrage is no longer rewarded with ever more clicks, the thinking goes, maybe people will be better behaved. That Facebook is prepared to take such a chance says a lot about the public pressure that’s been placed on the company these last two years. After all of that, what does Facebook have to lose?